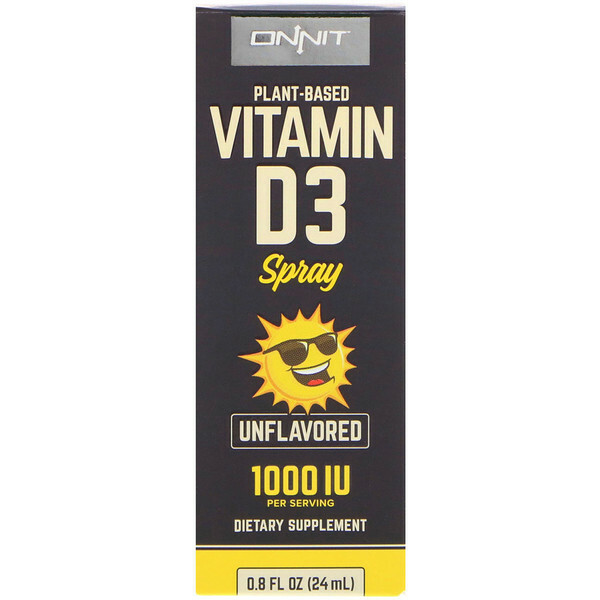 Vitamin D3 Spray is liquid sunshine that supports everything under the sun. 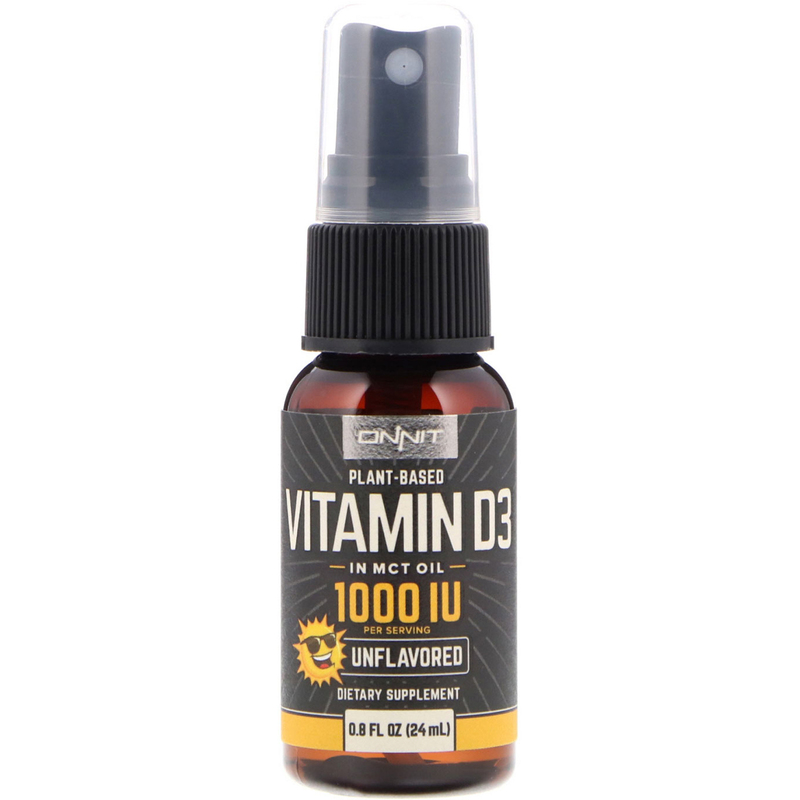 Every cell has a vitamin D receptor, and some of the systems it helps optimize include bone health, calcium utilization, and your overall vitality. Adults, take 5 sprays per day, preferably with food. Do not use if seal is broken or damaged. 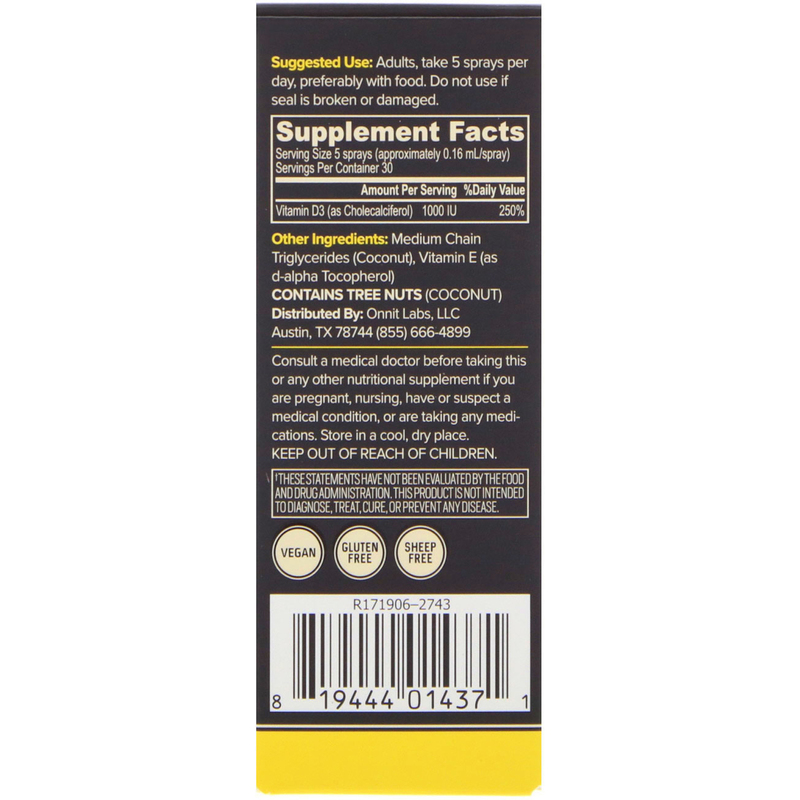 Medium chain triglycerides (coconut), vitamin E (as d-alpha tocopherol). Consult a medical doctor before taking this or any other nutritional supplement if you are pregnant, nursing, have or suspect a medical condition, or are taking any medications. Store in a cool, dry place. Keep out of reach of children.